How to read Common Sense by Thomas Paine without having to learn Old English as a second language. If you want to read Common Sense, this book is the easiest way to do it. Here’s why, it’s translated in modern English. Common Sense by Thomas Paine in a language you can understand. If you've ever tried to read it you know what I'm talking about. It was one of, if not the most influential books in American history. But it was written over 200 years ago and the old English it's written in, is nearly impossible to understand. You have to read everything five times to make any sense of it, and even then, you’re lucky if you understand it. There’re words we don’t use any more. The speaking style is basically backwards how we speak now, and the whole thing, is written in run on sentences. Try reading that. Try reading a book that completely turns up side down the way you would normally speak, with words sprinkled in that you don’t know the meaning of, all written in sentences as long as a paragraph. Why is Common Sense by Thomas Paine still important today? It was written over 200 years ago to address the issue of independence from Britain. Why is it still important in American government and politics today? Thomas Paine wrote Common Sense before we we're even a country. At its core it was a call for independence from Britain, but it was also a book about freedom and the proper construction of government. It's a philosophical debate. Because of that, not everybody’s going to understand or agree with it. But, it will expose the underlying problems that we see in politics today. To understand the relevance of Common Sense, it’s critical to understand why it was so important in the first place. 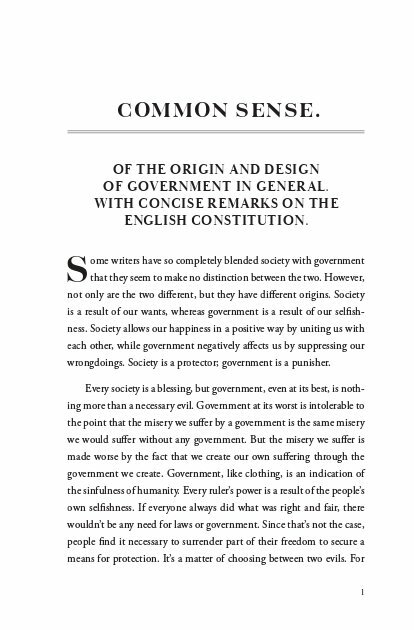 This is the translated book Common Sense by Thomas Paine, translated to modern English by Christopher Scott. Common Sense in plain English. Translated, carefully keeping the original meaning. The world’s most compelling call for freedom. Thomas Paine brought back to life. It's the strongest case for freedom ever made and a must read for anyone who wants to understand what freedom and government are supposed to be. 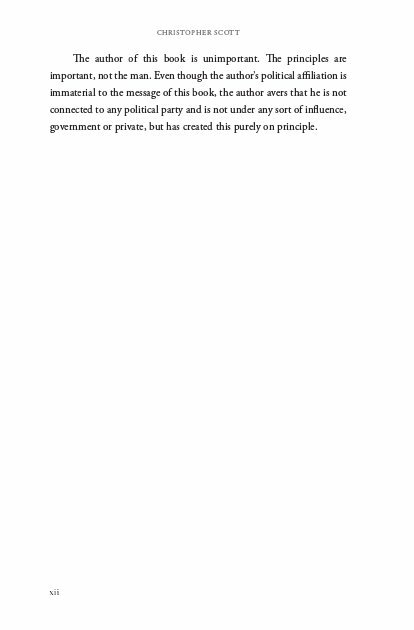 Written in plain language everyone can understand it explains the natural relationship between government and people. 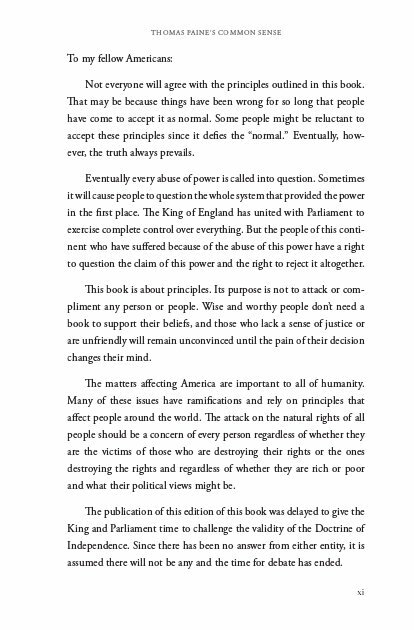 This is the best way to read Common Sense by Thomas Paine, because you’ll be able to understand it and enjoy it. This timeless book is also available in soft cover and ebook options HERE. Christopher Scott is a United States Marine Corps combat veteran, proud patriot, host of the Christopher Scott Radio Talk Show Podcast, the voice of Common Sense, dedicated to preserving the values of freedom and liberty. "The fight for freedom and liberty is a fight that if we don't fight, will be left for our children to fight. The worst thing that could ever happen is that we look back with regret that we didn't preserve these values."